Approximately 70% of the projects fulfilled by Brant Access Consultancy to date have been Appointment Setting Campaigns. These assignments are usually undertaken to book genuine qualified visit/telephone appointments for Directors/Business Development & Sales Representatives to present/sell their products/services. Data collected when making an appointment varies per project, but generally contact details including a phone number (often direct) and an email address are obtained, along with information on their current situation, requirements and time frame. Budget details are also sought where applicable and appointments are only booked directly with a decision maker. Representatives' diaries are checked on commencement of a campaign and managed during project duration. One week's phoning (35 hours) per month is the suggested calling time pattern with directors/representatives. This amount of phoning generally results in sufficient qualified appointments for an individual to sensibly pursue and convert over the following four week period. Alternatively, if this is not viable, due to reasons like workload, budget and size of target audience, a bi-monthly or quarterly campaign is advised. A pro-active regular campaign is an effective way of quickly creating a steady pipeline of potential business. Moreover, it is very cost-effective compared to individuals' cold calling themselves or employing a telemarketer in house. Our Lead Generation Service provides qualified leads to follow up and close. This resource fills sales pipelines with genuine prospects, which have been attained based on agreed client criteria. The same high level of qualification is applied as with an appointment setting campaign. With many people facing increased time pressures, this is becoming an increasingly popular approach. An invitation alone does not guarantee that a good attendance is achieved at an exhibition, seminar, workshop or other type of function. Therefore, if you have an event planned reduce the risk of failure and maximise the chances of success by having Brant Access Consultancy complete an event promotion/confirmation telemarketing campaign for you. We could assist you by encouraging targeted or additional decision-makers to attend your event via the telephone. As well as calling targeted individuals/organisations we could also undertake extra cold calling. All confirmed bookings could also be phoned before an event to ensure the greatest possible attendance, and then attendees (and non-attendees) could be contacted afterwards with an appointment setting/lead generation campaign, should this be desired. Past campaigns have illustrated that on average 20% of information on a database becomes obsolete within a year. Therefore, working from a list that is two years old can result in around 40% of the details being incorrect, getting worse the older the data is. This severely reduces the success of any new initiative, such as a sales campaign. Rather than having to spend valuable time checking details, use Brant Access Consultancy to bring up to date your records. To fully update as many records as possible we would suggest up to three attempts to phone a listing, checking and updating details such as title, name, position, email and postal addresses along with any other recorded information that is valuable to you. We could also undertake some database building for you, adding additional information to an existing database as part of a list cleaning project. Or, alternatively, we could create a brand new database for you full of people expressing interest in your products/services. A telephone survey is a popular direct method of obtaining opinions of customers for both private and public sector organisations. The activity is usually undertaken to assess satisfaction so that high service levels are reached and maintained. Organisations employ Brant Access Consultancy to complete this task to ensure that unbiased information is gathered, which could not be guaranteed by doing the task in-house. We can make these important telephone calls for your organisation and also assist you in creating your survey and your database template to maximise success. Past experience has shown us that a mail shot/email marketing campaign that is followed up with telemarketing usually improves results by at least a further 50%. Furthermore, follow up calls enable the effectiveness of a mailer, such as whether it is reaching the intended recipients to be gaged. The call would enable you to gain feedback and develop any interest into an appointment or lead on the products/services being promoted, but also for any other related offerings. Email marketing follow up projects are becoming increasingly popular. 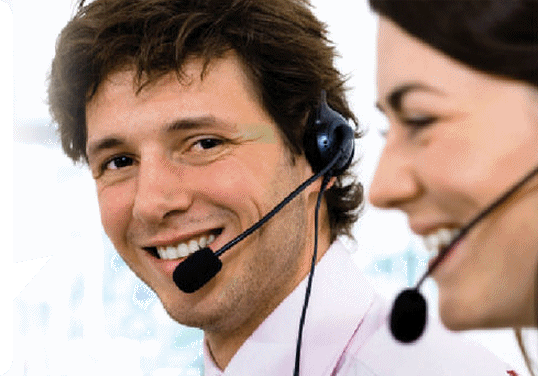 Brant Access Consultancy can optimise your subscription renewal sales with a telemarketing campaign. We could remind/ask customers to re-new subscriptions, promote upgrades/offers and check or confirm contact details and update records where necessary and appropriate.